Visit the READINGS page to explore a typical intuitive session and how to arrange for one. You are welcome to contact me directly or by email if I can further explain the potential value of my work. 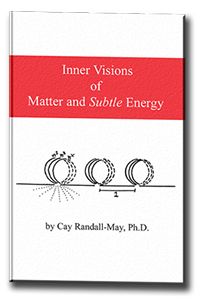 Dr. Randall-May offers personal mentoring in how to begin and grow your practice as an intuitive and/or healer. Please contact her for further details. Email her at crandallmayphx@aol.com for more information or to sign up for the Mentoring Program or a schedule of Mentoring classes. American Board of Scientific Medical Intuition. 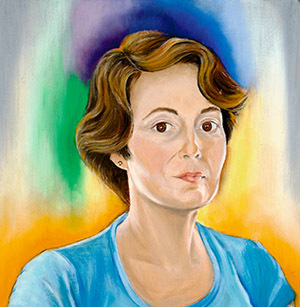 She is also a member of the Council for Healing, representing Medical Intuition and Prayer Healing. The purpose of the Council is to promote the understanding of and access to alternative modalities of healing including Therapeutic Touch, Healing Touch, Energy Medicine, Nutritional Medicine, Network Chiropractic, Indigenous Healing, Aromotherapy, and many more. Visit www.councilforhealing.org for further details. 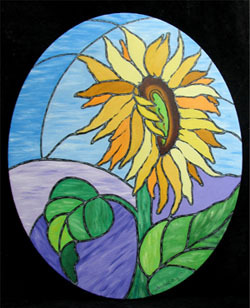 Bring the cheer of sunflowers into your home or office with this painting which creates the illusion of a light-filled, stained glass window. Oil on canvas, 16" x 20" oval, wrap around. No need for further framing. 2005. $250 plus shipping/handling and insurance and Arizona sales tax (if applicable).